I went to the Buffalo Chophouse this past weekend and somehow ended up with everyones leftovers so I decided to make crab cakes. They turned out super delish! 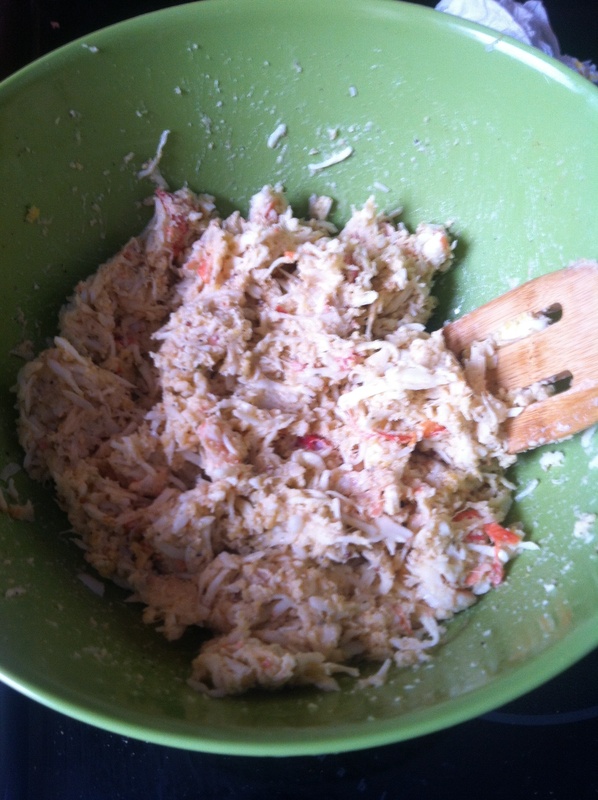 Combine the breadcrumbs, crab, eggs, mayo, mustard, salt, old bay and worcestershire. . 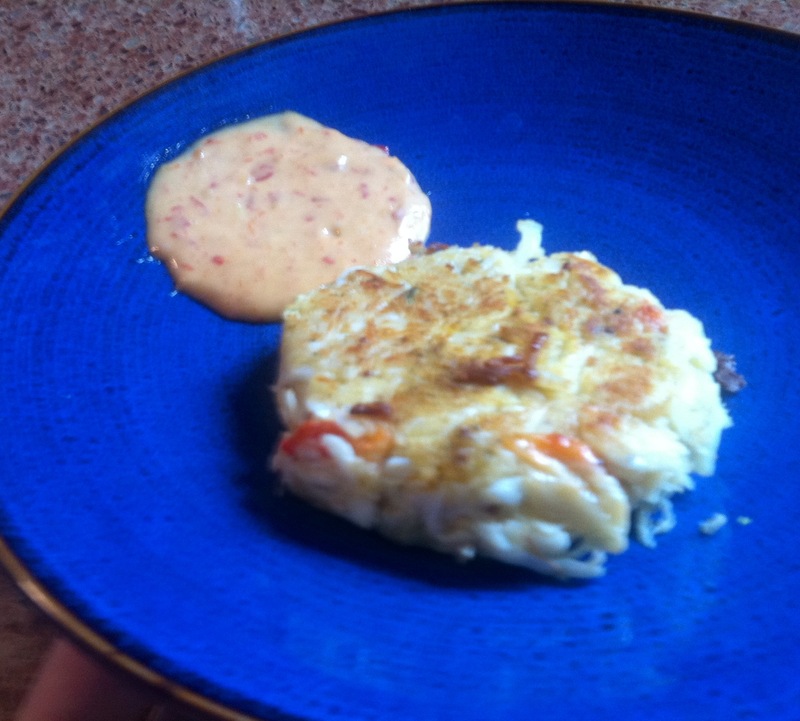 Shape into 6 crab cakes, and refrigerate for at least 1 hour. Heat about 2 tablespoons of vegetable oil in a non-stick frying pan. Sauté until golden brown on each side. This will only take about 3-5 minutes per side. For the sauce I just added the siracha, lemon and whole grain mustard!